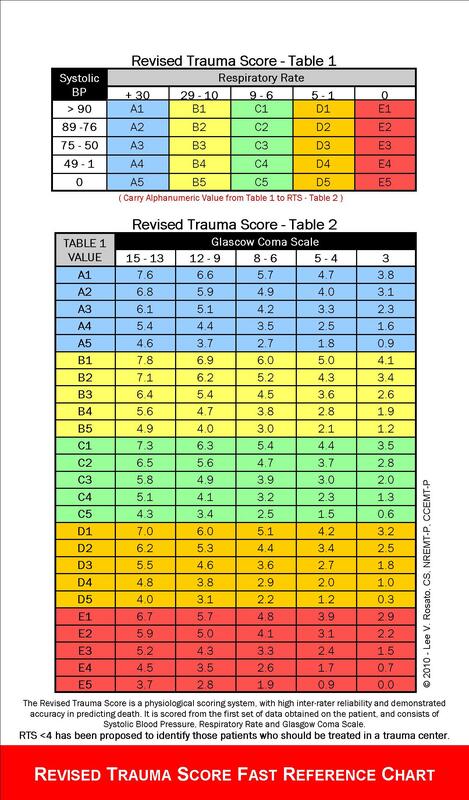 The current model comprises the revision of the trauma score developed in 1981 by Champion et al. The revised score was developed 8 years later in 1989 by te same authors. The score consists of three continuous measurements, Glasgow Coma Scale, Systolic Blood Pressure, and Respiratory Rate. Based on the input of these variables, a score of 0 to 4 is assigned. A higher score is associated with higher probability of survival. The current model calculates the absulote survival probability of a patient instead of the score between 0 - 8.